Sustainable energy can take many forms in the supply chain, and for at least one delivery company, solar is a key concern. UPS recently announced that it would invest $18 million in a push to add more solar panels to existing facilities. As part of this effort, the company announced it would buy more than 26,000 solar panels for use in eight current locations, and install them before the end of the year. The plan reflects a continuing interest in solar, a statement from the business said, and could potentially ensure power generation for at least 25 years to come. While this is just one of the "green" tactics UPS is reportedly undertaking, the company's Facilities Procurement Director, Bill Moir, emphasized the importance of solar power specifically, as it connects to other aspects of production. "Solar technology is a proven way to effectively and efficiently provide long-term power to our facilities," Moir said. "We have a significant number of facilities that are well positioned to deploy solar at scale and increase our sustainable energy options for our buildings and electric vehicles." 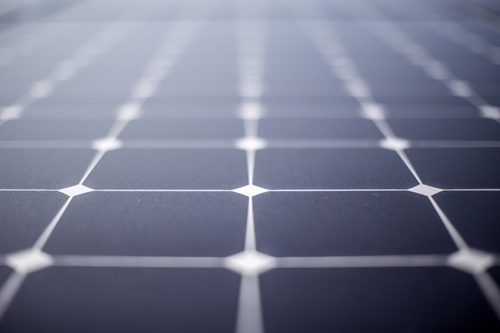 The cost of using solar power may prove to be a big incentive for businesses. In December, Bloomberg reported on the changes in the industry, compared to the similar (but more consistent) wind power. As data from Bloomberg New Energy Finance showed, solar power cost finally dropped below wind late last year. "Solar power cost finally dropped below wind late last year." Based on information from 58 different countries, the average cost of using this power source dropped notably from more than $5 million per megawatt in 2010 to $1.65 million in 2016. And while wind power was almost at exactly the same average price at $1.66 million, the activity also showed an interesting and definite downward trend for the industry, suggesting it might continue in this direction in the future, offering further eventual cost efficiency for companies as a whole. Solar power might have multiple advantages to companies expecting international business. In addition to granting them greater efficiency, these updates could put companies on the same playing fields as efforts in other countries, either in competition or in alignment. China's National Energy Administration recently stated that it is in the midst of a plan to increase the amount of photovoltaic capacity it uses over the course of the next three years. Reuters reported on the country's new claims to have added 34.54 GW last year, making it the "biggest producer of solar energy by capacity" on the planet. This perhaps reflects the statement made last April cementing both the Chinese and U.S. commitment to the Paris Agreement for combating climate change. Whatever this means, it does show a growing use of solar power in different regions, perhaps paving the way for more pressure to be placed on businesses that want to expand their commitments among other activities. As UPS shows, it doesn't have to be among that large a percentage of facilities to make a notable difference. Along those same lines, global sourcing could still be a significant tool for new plans.